Four Biggest Seller Mistakes – NRVLiving – Real Estate. Simplified. Big day! Time to sell the house. This day came around sooner than you thought, didn’t it? We sell for all kinds of reasons–to go bigger, to move into something smaller, or to move across the country. No matter what the reason, it’s important to avoid some simple mistakes. You may have thought home buying was stressful but this is a whole new beast. Selling means showing your house and waiting for that sometimes illusive offer. Once it does come, you have to move. If you’ve been in the home thirty or forty years, moving can be extraordinarily daunting. Selling comes down to proper preparation, understanding the market (or hiring someone who does! ), and presenting your home in a way that opens it up to that person who’s ready to say “yes”. Let these tips guide you down the path of what not to do..
Don’t sabotage yourself–prep your home correctly. What’s been perfect for you might not be perfect for someone else. Your agent should advise you on the best way to position your home within the market you’re currently in. 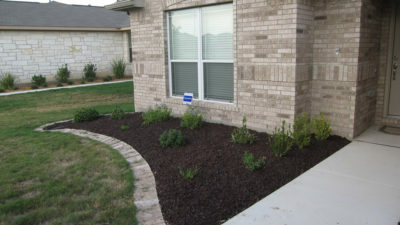 Correct prep work can mean fixing the little things you’ve learned to deal with or implementing some cost-effective landscaping tips to up that first impression appeal. Once you’ve made a few moves in the right direction, it just comes down to staging. If you want to hear the “Jeremy Hart Rule of 1/3s” for staging, hire me! Don’t miss the market on price. It’s easy to do. Every real estate agent has missed the market and suffered the consequences. The market changes very, very fast. Just because your neighbor’s house down the street sold and yours is nicer doesn’t mean there’s necessarily a buyer for those quirks you’re trying to market as “charm”. Price for the market you’re in, not the market you want to be in. Remember the professional photos. Do professional photos alone sell homes? No, but they’re one piece of the puzzle like good market position and a kept-up yard. Work with professionals – like Nest Realty – who use professional photography on every listing, regardless the price point. When you do all the rest right and do get an offer, keep an open mind. Chances are it will be lower than you expected but it’s a start. Try to negotiate with some empathy. You and the next buyer have different goals but it’s important to find some common ground. Fortunately, you both like the ground you’re trying to sell so start with that. I’m happy to help if you’re getting ready to sell. All of the agents at Nest Realty have been doing this a while and know the ropes too. Selling isn’t always easy but there’s ways to go about it correctly. Work with a professional, time it right, and do the work to get your house sold.